While making friends & having a great time learning to surf! 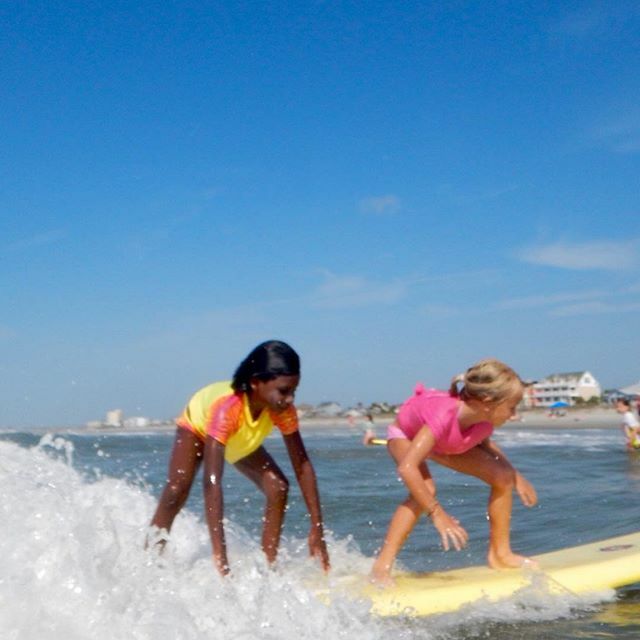 Learn from East Coast champions the proper surf techniques, surfing etiquette, and stretching techniques at these week long surf camps designed for girls & boys age 7 - 17. All equipment is provided (soft surfboard, wax & when avail or needed wetsuits) + snacks & drinks. What to bring: natural+reef safe sunscreen, a reusable water bottle & a t-shirt or surf shirt. There is a $100 deposit at signup with the $220 remaining balance due on the first day of camp. We accept checks, cash & credit cards (online only). Register Online: reserve your week & pay online below, print+fill out our registration form to bring the first day. 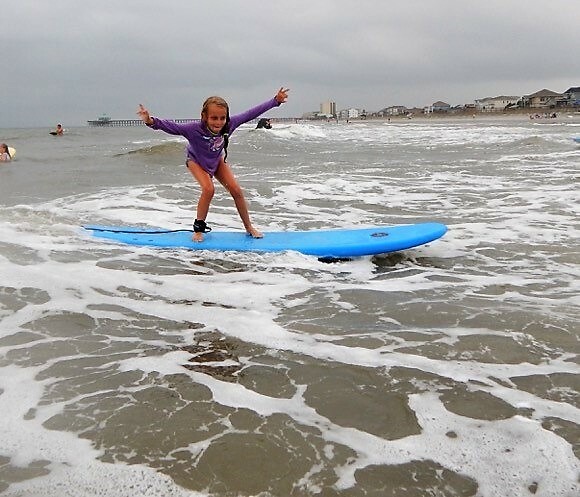 Register By Mail: If you'd rather pay by check, reserve your week below & mail the $100 deposit check to: Shaka Surf School LLC, PO Box 720, Folly Beach,SC 29439, print+fill out our registration form to bring the first day. If you can't make the whole week, contact us to come for just a day or two. Warning: they will love it and want to stay the whole week! 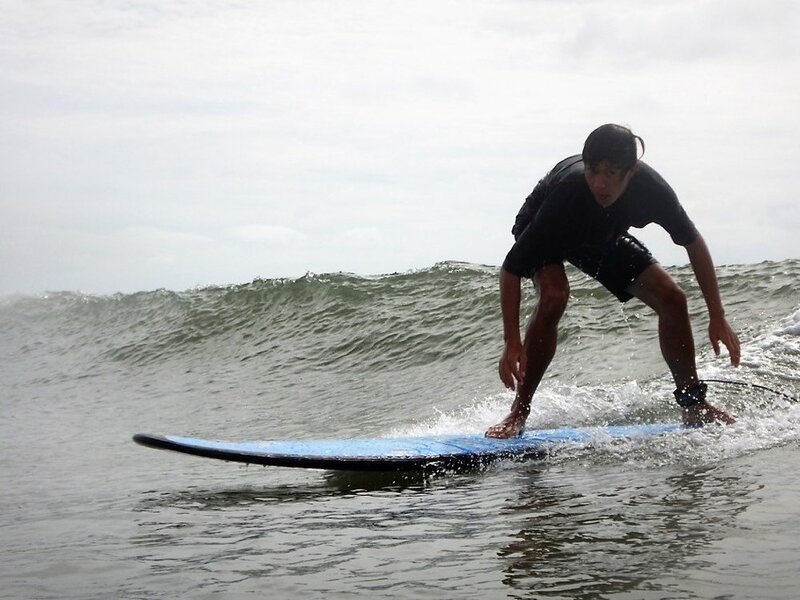 Surf the glassy morning ocean and then glide the changing afternoon tides of the marsh! When we give our children a personal experience with nature, this sparks curiosity and love. We are teaching them concern and appreciation for our earth and encouraging them to be active in the protection of our earth. surfing | boating | kayaking | beach combing | environmental awareness | the love of the earth and her bounty! Let your children roam the wild places! Shaka Surf School and Tideline Tours are teaming up to offer an unique week full of adventure! The day starts off with a warm glassy ocean morning surf. We will cover wave knowledge, safety, the techniques of surfing, and a little yoga to warm the body up. Don’t worry there will be lots of water time to polish your surfing skills! After lunch and some relaxing in the shade, we will explore a different facet of the marine ecosystem. Each day there will be a new topic from tide and currents to coastal geology to shells, the salt marsh and more! Campers will go on beach walks and try their hand at kayaking, paddle boarding, and travel by boat to Morris Island. 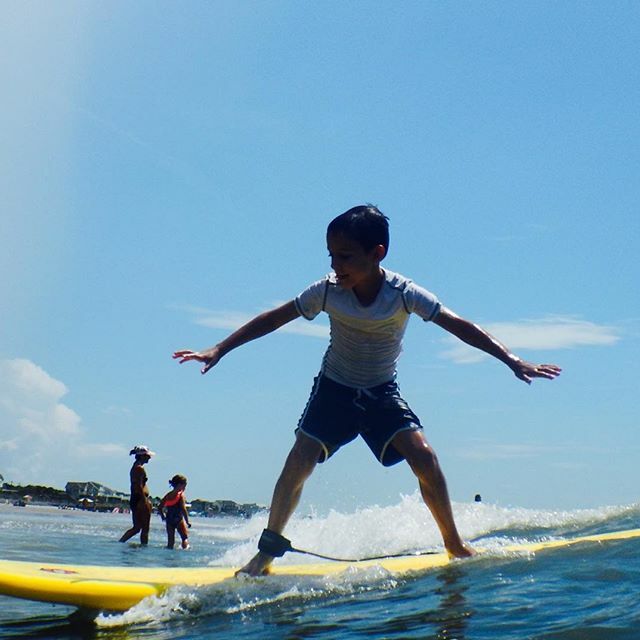 By the end of the week, your camper will have experienced beautiful Folly Beach in many ways and be on their way to becoming a watersports pro! What to bring: natural+reef safe sunscreen, a reusable water bottle, a t-shirt or surf shirt & a bag lunch. There is a $100 deposit at signup with the $600 remaining balance due on the first day of camp. We accept checks, cash & credit cards (online only).